Boris Nemtsov, former Deputy Prime Minister and prominent Russian opposition leader, was murdered in Moscow late Friday night near the Kremlin. Nemtsov was walking on the Bolshoi Kamenny Most, as a white vehicle approached him. Nemtsov was killed with four shots in the back. This murder has all the indications of a contract killing. Earlier this month, Nemtsov voiced his fears that Putin would have him killed. 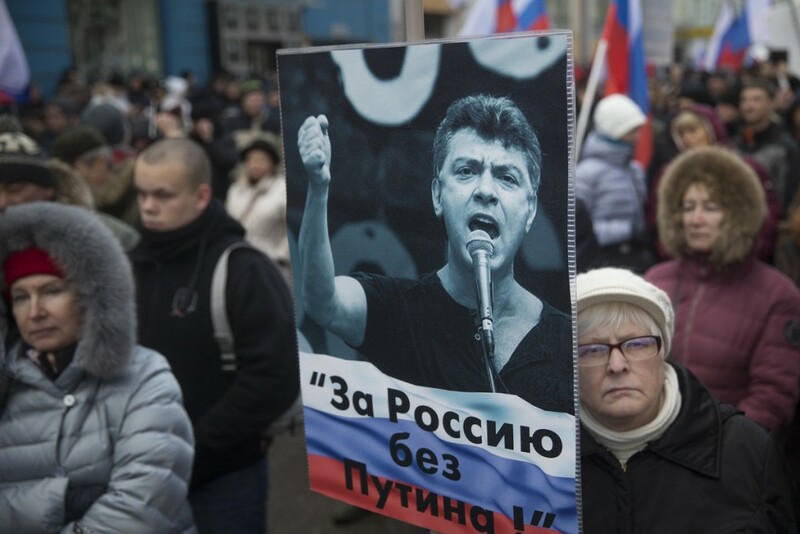 Another mass rally against Putin, headed by Nemtsov and the People’s Freedom Party, is scheduled for March 1, 2015. Organizers of the rally publicly denounced Putin for Russia’s devastating economic woes and the covert invasion of Ukraine. Nemtsov openly criticized Putin’s imperialistic incursions, theft and corruption permeating Russia’s ruling elites. Prior to his murder, Nemtsov was in the final stages of completing a report containing incontrovertible evidence of Russian troops covertly operating in Ukraine. Another brave critic of Putin, Anna Politkovskaya, who shed light on Russia’s brutalities in Chechnya, was murdered in 2006, on Putin’s birthday. Former Russian spy and an outspoken critic of Vladimir Putin,Alexander Litvinenko was murdered with radioactive polonium-210 in a case where all roads led to the Kremlin. Former American editor of Forbes-Russia, Paul Klebnikov, was brutally murdered in a contract killing. He was shot nine times. Klebnikov’s list of the 100 richest Russians displeased the country’s ruling oligarchy. He authored a book, “The Godfather of the Kremlin: Boris Berezovsky and the Looting of Russia.” Incidentally, Boris Berezovsky (former associate of none other than Alexander Litvinenko) died under suspicious circumstances in 2014. Berezovsky’s daughter remarked, “He was saying that Putin was a danger to the whole world and you can see that now.” Professor Bern Brinkmann, a German forensic scientist retained by members of Berezovsky’s family, submitted a report to the inquest which included the suggestion that Berezovsky had been murdered by a number of assailants and then suspended by his scarf from the shower rail of his ex-wife’s home in Ascot, Berkshire. Murder for political reasons is all too common in Russia. Committee to Protect Journalists reports that 56 journalists have been murdered in Russia since 1992 with a known motive, as well as 24 reporters assassinated for unknown reasons. Most of the political and journalistic killings in Russia remain unsolved.